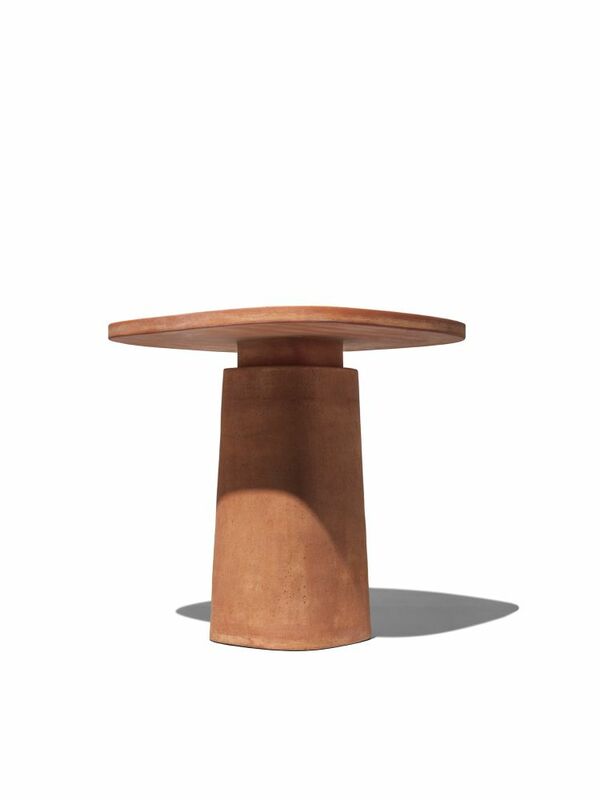 Gioi is an outdoor table entirely made of terracotta. The warm colors of the clay make it perfect for outdoor settings. Gioi completes the Cave family of seats, also in terracotta. Continuing with the idea of the monomateric object, Gioi is composed of just two parts – the top and the central leg – with a very simple assembly method: the top fits over the leg, and its weight keeps the table perfectly stable.